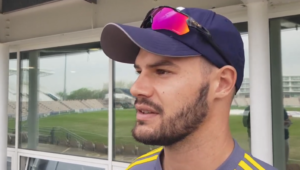 Proteas fast bowler De Lange has joined from the Titans, the 25-year-old having spent his entire career with the Centurion-based franchise. He has 12 appearances for South Africa across all formats and featured in the ODI series against England in February. Fellow Titans player De Bruyn has not just agreed to move to the Central Franchise, but also to captain them across formats. The 23-year-old top-order batsman will take over from Werner Coetsee, having scored over 2 000 runs since his debut in 2014. All-rounder Peterson, who turns 37 in August has scored close to 5 000 first-class runs and taken almost 400 wickets. The former SA international moves to Bloemfontein from the Cape Cobras. Another high profile addition to the Knights’ squad is batsman David Miller after his move from the Dolphins. 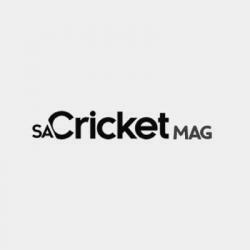 The 26-year-old has become a specialist for the Proteas in limit-overs cricket, but is yet to make his mark in the longest format. Miller is one of two nationally contracted players on the books of the Knights, with the other being batsman Rilee Rossouw. Knights squad: Rudi Second, Pite van Biljon, Robin Peterson, Rilee Rossouw, Werner Coetsee, Duanne Olivier, Shadley van Schalkwyk, Corne Dry, Tumelo Bodibe, Diego Rosier, Mbulelo Budaza, David Miller, Dillon du Preez, Marchant de Lange, Dylan Stanley, Patrick Botha, Theunis de Bruyn, Letlotlo Sesele, Michael Erlank.